Jenna Lyons will forever be considered an iconic style influencer in the fashion world. The guiding light for J.Crew for over twenty-five years she has shared her expertise and creative vision in every aspect of the industry from apparel to interior design. 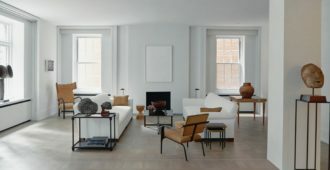 This month the New York Times T-Magazine featured her newly renovated residence in Soho. The transformation goes hand in hand with her fresh start and is equally as captivating as the rest of her style imprint. Well-known for her frilly esthetic and knack for combining opposing prints, patterns, and materials to work as an unlikely team. Call it confidence or a special gift it is a true characteristic of a visionary. 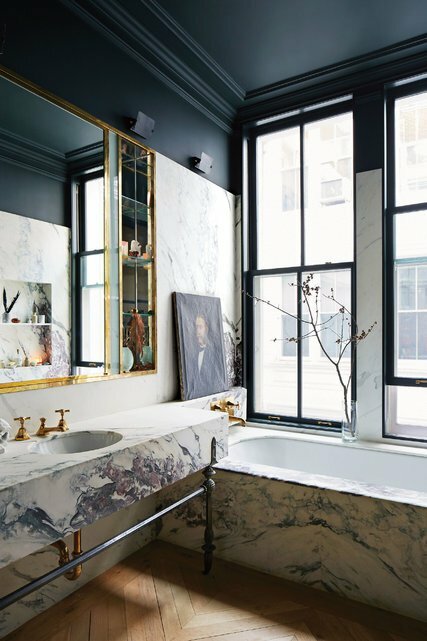 The distinguished space shares the same beautiful prewar detail and elegance as her notable Brooklyn townhouse. Remaining loyal to her authentic style the new home resembles the same decorated ambiance that shows-off her unique individuality and good taste. Honoring her flamboyant approach to design the residence is a mix of traditional and novel furnishings to offer a lived-in dazzle and rich glamour. Her personal art collection, contemporary fixtures and the use of feminine frills highlight her creative panache that has established her as a classic trend-setter.